Privatoria is a Czech Republic-based internet security service provider. This 8-in-1 security solution includes VPN, VPN+TOR, Anonymous Proxy, Web Proxy Tor, Secure DNS, Secure Сhat with voice and video calls, Anonymous Email, Secure Cloud Storage and Secure Data Transfer service. The service initially launched in 2014, but really started to grow in prominence in 2015, having positioned itself as an all-round internet security suite, designed to encrypt nearly every aspect of the user’s experience on the web. In this review, we will take a better look at the company, to see how it approaches user privacy, what kind of encryption it implements and how its VPN and the rest of its intriguing tools work. Privatoria’s Secure VPN is arguably its primary service. As with all virtual private networks, the idea of the service is to enable the user to connect their device to an encrypted server, sending all web traffic through a secure tunnel. Additionally, the network IP address on the device will also be changed to that of the VPN server, allowing the user to appear online from an entirely different location. This is by all means a very brief description of a VPN, but you can find much more information on this on our VPN FAQ page. Torrent transfers are allowed except on US, Canada, all EU, Australia, Japan, Singapore and Hong Kong VPN or Proxy servers. The VPN supports all modern protocols including L2TP/IPSec and OpenVPN, however, according to the provider, support for PPTP and SSTP hasn’t yet been optimised. More information on Privatoria’s encrypion methods here. The service does not yet offer a native desktop application, which means that a connection needs to be configured using either the operating system’s built-in VPN client, or, for OpenVPN connections, we would have to install a third party client. The most obvious choice for the latter would be the free OpenVPN client. For this example, we will set up an OpenVPN connection on Windows 7. Although our operating system’s built-in client allows L2TP/IPSec, SSTP and PPTP connections, we would prefer to use the universal and widely adopted OpenVPN protocol, hence why this will be the focus of the following tutorial. Note: Detailed setup tutorials for all common operating systems can be found in the Manuals tab of each service category within the customer control panel. Firstly, we downloaded and installed the client from the official OpenVPN website. In the process, we also installed OpenSSL utilities, OpenVPN RSA Certificate Management Scripts as well as the OpenVPN TAP device driver software. Next, we grabbed the Privatoria OpenVPN configuration file, which can be downloaded from here (to quickly locate the link on the page, search for “configuration file” using Ctrl+F). Importing Privatoria’s configuration file into the OpenVPN client. We then copied and pasted the configuration file in the config folder of the OpenVPN installation: Local Disk C > Program Files > OpenVPN > config. 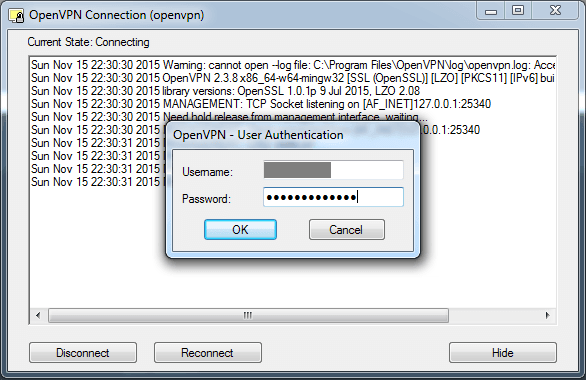 Privatoria’s general settings were now configured to work with the OpenVPN client. Fetching the server address from the customer control panel. Next, we copied the address line of the server, right-clicked on the OpenVPN client icon in the task bar and selected Edit Config from available options. This opened up the same configuration file dealt with earlier in Notepad. We then pasted the Sweden server address into the third line, replacing the default – “privatoria.net” address. 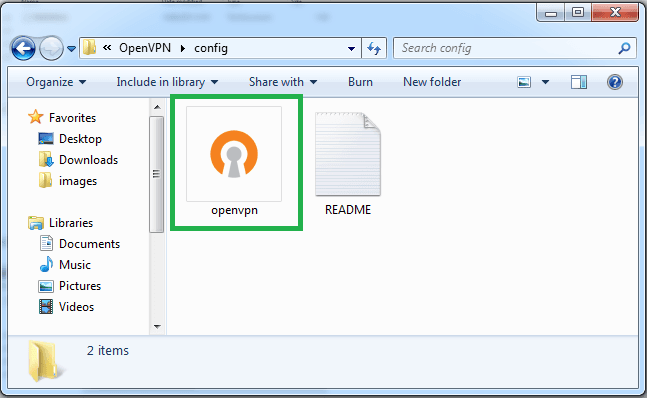 Changing the VPN server in the OpenVPN configuration file. These same steps will need to be taken in order to change servers again. To establish a connection, we right-clicked on the OpenVPN icon in the task bar and clicked on Connect. This opened up a local log window and a smaller window for account authentication. In the authentication window, we entered our Privatoria account login details, which can be found in the PDF file generated upon account creation, and then clicked OK.
As part of its bundle, Privatoria offers a feature called VPN Plus Tor. You might have guessed – this service entails access to the Tor network, with the added protection of VPN. In a nutshell, the Tor network is supported by servers of volunteers, scattered worldwide. When the user’s data enters the network, it is packaged into an encrypted packet. Tor then removes a part of the packet’s header, associated with personally identifiable information that is regularly collected by advertisers and various other mass data aggregators. Following this, Tor encrypts the rest of the addressing data; this is called the packet wrapper. The packet is then routed through numerous network servers (called relays) until reaching its desired destination. Despite Edward Snowden’s NSA leaks revealing that the agency wasn’t able to crack Tor (circa 2011), rumours began spreading in 2014 that that an unknown party had managed to compromise the network. Tor’s adminstrators have since accused the culprits to be a team of hackers from Carnegie Mellon University and claiming that their research was funded by the FBI. Furthermore, in July of 2015, a team of MIT researchers had demonstrated that it was possible to fingerprint Tor traffic by setting up an entry node on the network and identifying patterns of the data passing through. The researches followed up with a solution to their findings by recommending for Tor to mask sequences to look the same. Such compromises are sooner or later inevitable, which is why some privacy experts form a cogent argument in favour of using both Tor and VPN, as a VPN can hide evidence from the ISP that someone is using Tor in the first place. The key precaution to take is to ensure that the VPN provider has a strict no-log policy and that the company’s jurisdiction does not require them to maintain user logs. Based on this, we are quite confident that Privatoria – a company based in the Czech Republic can offer users secure, simultaneous access to VPN and Tor. Setup is identical to VPN, as explained above, but it is necessary to change the server address to: gateway-tornet.privatoria.net. In addition to VPN, Privatoria offers access to its proxy servers through two separate services: Anonymous Proxy and Web Proxy Tor. The first option is a private proxy service which is there specifically to disguise the user’s geo-location, whereas the Proxy Tor feature allows users to connect to the same servers, only with added Tor network encryption. At the time of writing this, there are 22 countries available to choose locations from. As with most standard proxies, setup is relatively simple. We first headed into our customer control panel, chose Japan as a location example and grabbed the proxy server address. Then, we opened up our (Firefox) browser’s network settings, enabled Manual proxy configuration, pasted the proxy address and adjusted the port to “3128” to match Privatoria’s settings. Connected to Japan via the web proxy. Unlike the VPN+Tor option, Privatoria’s Web Proxy Tor actually allows users to browse darknet (.onion) sites through everyday browsers, that are otherwise only accessible through the Tor browser. Setup is identical to configuring a proxy, as described above, with the exception of having to enter Privatoria’s Proxy Tor server address (found in our client panel). Note that it is highly recommended to use VPN alongside the Tor proxy if you are intending on browsing .onion sites. The VPN should be treated as an integral counterpart as the proxy alone will not hide your browsing activity from the ISP. Accessing DeepDotWeb through its Onion URL in Mozilla Firefox. Next on the menu is Privatoria’s Secure DNS. Using private and secure domain name servers to handle HTTP requests is regarded as a much more private option, as opposed to using publicly available servers or your ISP’s DNS, both of which are known to log activity. Privatoria Secure DNS provides dedicated DNS server with no logging. It is integrated with the VPN service by default, however, if you’re not using the VPN or would like to manually assign the server to your network settings, you can do so by fetching the address from the customer control panel and replacing the existing settings with Privatoria’s DNS. This option is important for avoiding DNS leaks. Although still in beta stage, we couldn’t overlook the Secure Chat feature. In a nutshell, Secure Chat is Privatoria’s very own encrypted messaging service. By the looks of it, the messenger will be equipped with typical IM features including file sending, VoIP voice and video calling and even an option to dial phone numbers, much like the highly useful existing feature in Skype. Similarly to Secure Chat, Privatoria’s encrypted email option grants users access to a secure mailing environment. In the customer control panel, we can find the email address assigned to our account as well as all the necessary access details, such as POP3s and IMAPs server and port information. These can be used for manually configuring the mailbox in third party clients such as Gmail, Microsoft Outlook, Mac OS X Mail and Mozilla Thunderbird. Authorisation screen for the private email mailbox. The inbox comes with 20GB of storage space and it’s possible to send emails of up to 20MB in size. This feature provides a one-time data share option and is useful for those who do not trust popular cloud services. It allows users to upload either text or a file through the browser and subsequently share the encrypted data with a recipient using a unique ID, generated with each upload. Files of up to 1GB in size may be uploaded and there is 10GB of total space provided. 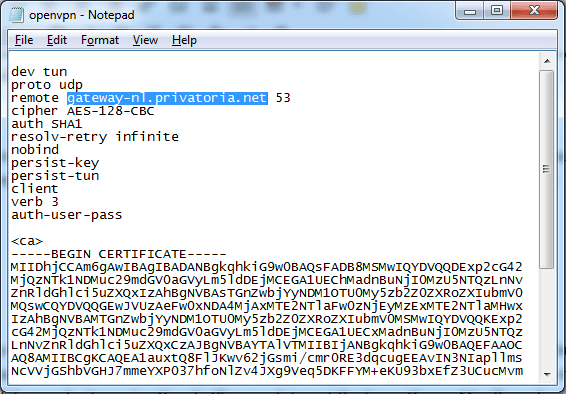 Lastly, we tested out Privatoria’s FTP service. The feature can be used with all common FTP clients, including FileZilla, Total Commander and CyberDuck. It uses TLS for security and enables for secure transferring of files between an unlimited number of users. Access details for the server can then be shared with trusted peers, with whom you intend on sharing files with. As with the cloud storage, the maximum file size per transfer is 1GB, while storage capacity is at 10GB. Privatoria is a resident of Czech Republic (EU), where there are no concrete laws that define data retention. Internet security services like Privatoria have no obligations to store customer information including usage data or payment information, because the company does not pose itself as a telecommunications service. Payments are processed via a custom payment gateway, which, according to the policy, is fully independent and not associated with users’ accounts. Due to this, Privatoria states that it would be physically impossible to hand over any personal data to third parties, for instance, as part of a court order. Note that due to the anonymous design of the payments system, Privatoria does not provide refunds and instead encourages interested users to try out its services through the easily accessible four-hour free trial. Up to five simultaneous connections are permitted per account. Privatoria uses encryption on all servers. The most widely used encryption type is AES. For L2TP/IPSec VPN connections, it uses AES 256-bit encryption and SHA 256-bit user authentication. OpenVPN support is offered with AES 128-bit encryption and SHA 128-bit user authentication. OpenVPN can currently be used over UDP ports 1194 and 53. What would make the service stand out even more in the future, is if Privatoria will roll out support for OpenVPN with 256-bit encryption as well as PPTP and SSTP. The proxy services currently use HTTP, while, according to the provider, SOCKS5 will also become available in the near future. Customers’ private cabinet is secured by SSL 4096-bit keys and SHA-256 authentication. Passwords are encrypted with the Blowfish algorithm. The Anonymous Email service utilises SSL 4096 digital signatures and SHA-256 user authentication. OpenPGP encryption is also on the roadmap. Secure Chat is based on WebRTC technology and is protected by DTLS. Secure FTP supports both use SSL and TLS security methods (though the provider recommends TLS if your FTP clients supports it), while Secure Cloud Storage is protected by SSL 4096-bit keys. Prompt technical assistance is essential when using VPN. We were pleased to find that Privatoria provides live chat support in addition to its email-based ticketing system. The live chat support is available during working hours of Central European Time (CET). Having contacted support for technical assistance on a couple of occassions, we received a reply usually within 1-2 minutes, which means waiting time is not so prolonged as can commonly be the case with larger VPN services. In addition to providing additional configurational screenshots to the ones already published in the client area, they also provided us with setup screenshots for the Viscosity VPN client when requested. Every support operator is fluent in English and we found that their team really puts good effort into resolving individual customer issues, without drawing a blank when the first suggested solution wasn’t feasible. And this is something that is normally demonstrated by smaller companies, as their customer base is still relatively small compared to the well-known providers on the market. Privatoria currently accepts Bitcoin, PayPal, Debit/Credit cards and SMS payments (in 79 countries). As mentioned earlier, due to the fact that payments are not associated with user accounts, Privatoria operates with a no-refunds policy. It is therefore highly recommended to take advantage of its free trial before making a purchase. privatoria, OMG! Trouble’s coming your way. Nothing’s really working, spent hours installing, waiting days for support, giving you smart answers. “Everything’s fine on our side.” No, certainly not. Buggy script killed my network. These guys don’t know what they’re doing. Except: Advertising. Privatoria = worst experience ever. Lousy service, not working on Ubunti 16, support non existent, kept money despite money-back-guarantee. 100% mess!